This is a natural sea arch along the trail to Kaena Point. I wanted to photothe Galactic Core above it and managed to do so. 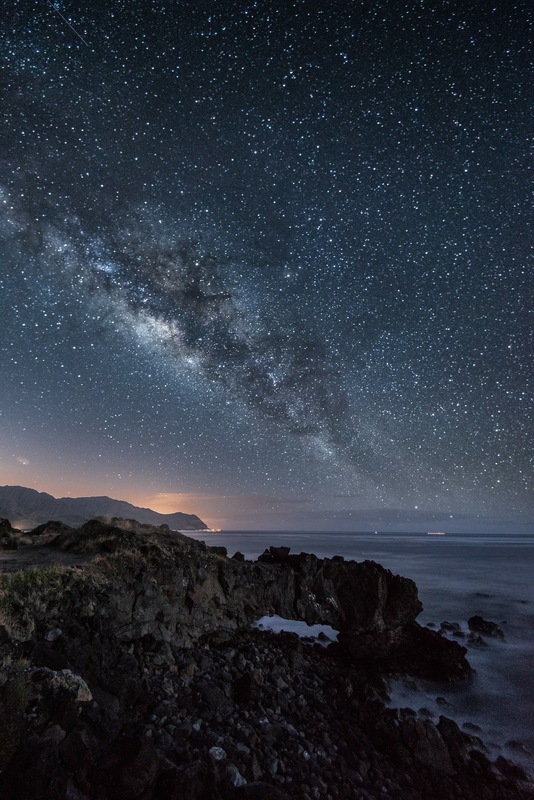 Light pollution illuminated the Town of Waianae and the Waianae Mountains in the distance.